Many people find themselves torn between the option of leasing or buying when it comes to a hefty investment such as a forklift. Sure owning your equipment is nice but there are also many hidden advantages to leasing a forklift. Turn in your forklift at the end of your lease so you can focus on running your business and not selling your old equipment. 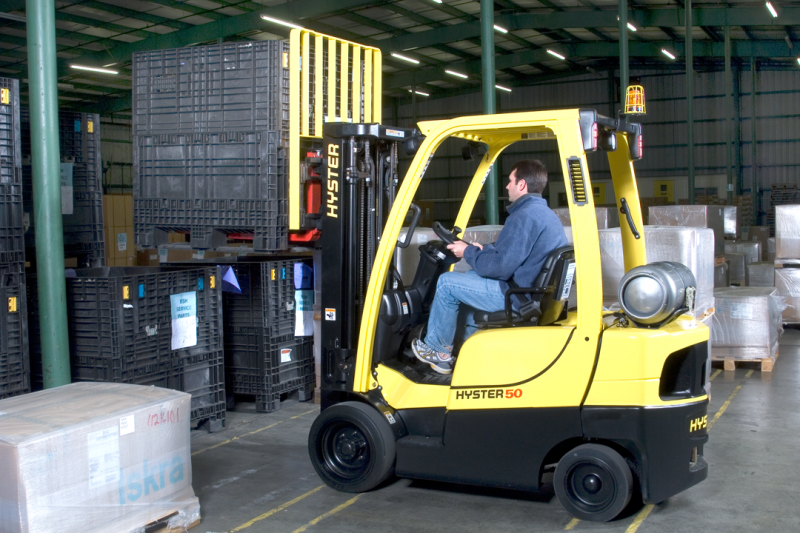 Often times, payment options for leasing a forklift are lower than monthly loan payments. No matter how hard you try to avoid it, you will always face changes in your requirements and needs. If your needs change while leasing a forklift, you can always exchange it for a forklift that better suits your requirements. Leasing your forklift gives you the opportunity to drive the latest models with the best gadgets and features. We know that your lines of credit are a critical part to expanding your company. Keep your bank lines open when you choose to lease a forklift. Many lenders will work with businesses to offer payment schedules to meet your business cycle needs. For more information on leasing a forklift, contact your local branch today! Our team of Solutions Experts can help you determine if leasing a forklift is the right option for you.